Let’s first clarify what “cruelty free” means and how it differs from “vegan”. 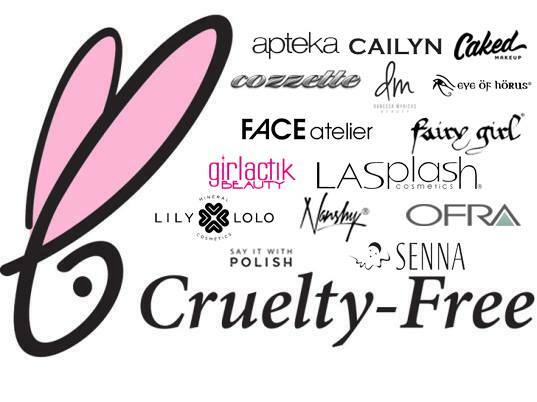 The standard definition of cruelty free refers to a brand or a company that doesn’t test its products on animals. Cruelty free only refers to the animal testing aspect of animal cruelty, whereas vegan brands don’t contain animal ingredients or animal derived ingredients. Many countries have banned animal testing for cosmetic products because there are already many ingredients available that have been tested and have proven to be safe. And, technology has advanced quite dramatically, giving companies alternative testing options when it comes to safety aspects of ingredients. Knowledge is power, the power to make better, smarter, ethical choices. Countries and companies across the globe have taken and are taking a stance against animal cruelty; you have the power to make the right choice, too. When we set out to find unique and, more importantly, cruelty free makeup and beauty products and brands, we were quite surprised about the many companies we found that have already made the commitment to develop and to manufacture products without harming any animals. There are so many cruelty free beauty brands available nowadays that you truly have a choice to make and it’s not about compromising on quality, range and performance. In short, making the switch doesn’t come with limitations. In fact, you will discover new, amazing brands that perform as well, if not better, as the products that you may be using now. What’s even better, we’ve done the hard work, bringing these brands right to your doorstep. You don’t need to worry about high shipping costs, lengthy delivery time lines, lack of customer service, etc.. We’re here in Australia, we’re here to help to make the switch easy for you. Our quest doesn't end here, though. We continue to bring you new brands that meet highest quality and ethical standards and that are at the forefront of innovation. You may not have heard of some of our brands before. This doesn’t necessarily mean that they are new. Some of our makeup brands have been around for decades – used behind the scenes on film sets, TV studios, in movies and on the red carpet. Some of these brands are available only in the US or Europe. But, rest assured, ALL of these brands are hand-picked by our team, chosen for their high-quality, creamy, dewy, hydrating and nourishing qualities, chosen because they are the crème de la crème of makeup. Welcome to BeauDazzled. Where we lead, we don't just follow.